In late March UK roots outfit Zion Train dropped their Land of the Blind album and now comes a third riddim release from that set. Just Say EP comes with four tracks – three vocal cuts and one dub version. On board this driving one riddim EP is the legendary Horace Andy alongside deejays Fitta Warri and Longfingah. The dub version of Horace Andy’s Just Say Who is courtesy of Italy’s Almamegretta. Just Say EP drops on May 19. UK dub pioneers Zion Train’s brand new album Land of the Blind is classic Zion Train with its tasty mix of live instrumentation, organic arrangements and digital programming. And as usual the horns are superb being both melancholic and uplifting. Zion Train celebrated 25 years in the business last year and this studio album features six vocalists, both fresh talents, like Jazzmin Tatum, along with Zion Train regulars, such as Fitta Warri and Dubdadda. It collects both new material and previously released tracks, cuts that have been released to wide critical acclaim. Among the many highlights is the devastating seven minute long Dirty Dunza/Go For It with vocals from the fierce Fitta Warri and the more ethereal Jazzmin Tatum. The bass line on this track is just ridiculous and custom-made for breaking down the walls of Babylon. Tranquillity Through Humility and The Great Flood/Gaia’s Tears come with a beautiful flute, while More and More and We Are Water are dreamy with smashing drums and dubby effects on the latter. Fans of UK dub in general and Zion Train in particular will not be disappointed. The first release from heavyweight UK dub pioneers Zion Train’s forthcoming album Land of the Blind is a 10” EP with four cuts on the Money riddim. The EP features vocals from Zion Train regulars like Dubdadda and Fitta Warri as well as Daman. The Money riddim EP is now available on vinyl and digital download. Check the preview below. 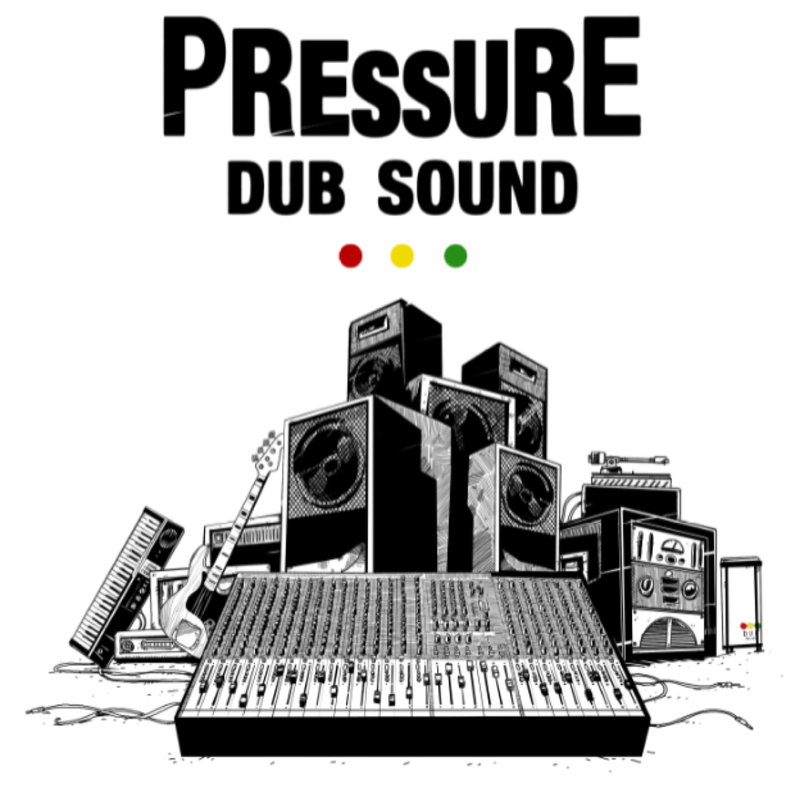 Pressure Dub Sound out of Italy is a connection between soundmen and musicians, and the nucleus is Mr. Dill Lion Warriah on the microphone, The Bassliner on bass, D-Mass on drums and GJ at the mixing board. Their sound lean heavily towards Zion Train and other heavy UK dub outfits like Alpha & Omega and Vibronics. Their new self-titled album collects previously released vinyl singles along with new material recorded in collaboration with Zion Train, Addis Pablo, Madaski and Gary Clunk. It comes in a showcase style with six vocal cuts and their dub versions. It’s electronic and organic, it’s roots reggae with digital and dubwise influences. Especially tasty are the dub versions with their pounding percussion, ethereal use of effects, vocal snippets dropping in and out and the bright horns clashing with the often dark and melancholic mood. 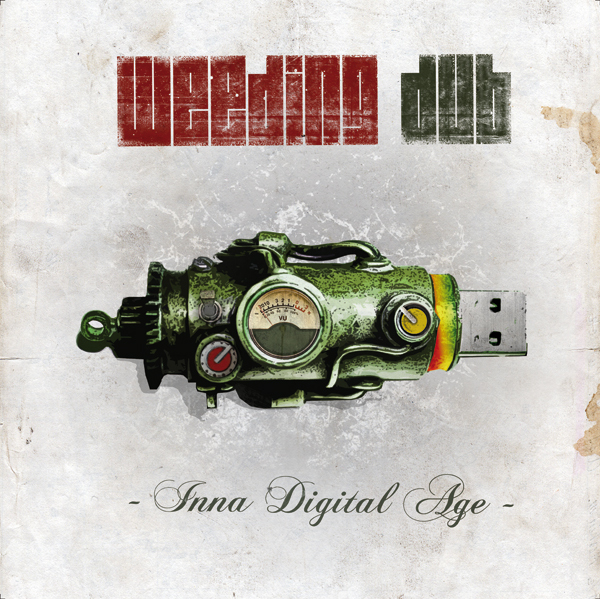 France’s Weeding Dub combines UK-styled roots and dub-infused reggae with electronic music energy, quite similar to what Zion Train and Vibronics have been doing successfully for a number of years. After numerous vinyl releases on several labels since 2004 this innovative and original producer from Lille has now put 15 brand new tracks on wax. He is accompanied by a diverse bunch of artists such as Little R, Echo Ranks, Fu Steps, Diana Levi and Inja. Inna Digital Age is dark, mean and grim. It’s contemporary in terms of energy, but musically the album has its roots in early digital sounds originating from Jamaica and the UK roots scene that emerged in the early to mid 90s. Definitely something for fans of monotonous and thunderous bass lines, pounding drums and blazing percussion mixed with beautiful horns. Inna Digital Age offers 15 sonic punches in the stomach. Like it or not. Here’s yet another rave review. 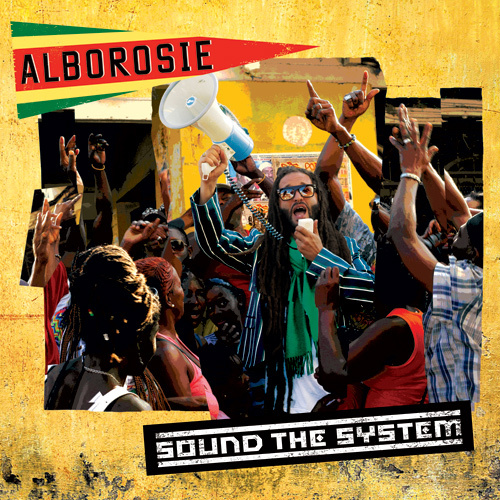 This time’s it’s the multi-talented Italian turned Jamaican reggae artist Alborosie’s latest 16 track set Sound the System, on which he plays almost every instrument himself. He’s a do it yourself kind of guy that also writes most of his own material and produces himself. Vocal duties are however shared with a number of other artists, including Ky-Mani Marley on a remake of Bob Marley’s Zion Train, Italian reggae star Nina Zilli on the jazzy ska flavored Goodbye, sweet singing Kemar on the beautiful There is a Place, Nature on the catchy Warrior and veteran vocal harmony trio The Abyssinians on Give Thanks, a track on which they provide harmonies sang in Amharic, the sacred language of Ethiopia. Sound the System is Puppa Rosie’s fifth album and has a classic, yet contemporary, sound heavily influenced by early 80’s dancehall in a Sly & Robbie style and fashion. 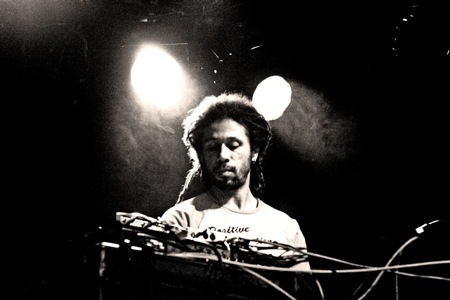 He uses live instruments and analogue recording techniques to achieve his vintage sound which carry plenty of references to eras when Bob Marley, Yellowman, Burning Spear and Barrington Levy ruled the charts. Alborosie is a virtual virtuoso at writing bubbling and boisterous riddims, catchy melodies and hooks and righteous and rebellious lyrics, but without being preachy or moralizing. His more humorous side can be heard in soundsystem anthems and burial tunes like Who Run the Dance, Shut U Mouth and Rock the Dancehall. Sound the System is a diverse and passionate reggae cocktail by an artist that knows how to create hit songs with a message. Abassi All Stars is a project led by Zion Train’s producer and front man Neil Perch. The group has mainly put out a number of significantly ground shaking limited edition 7” and 10”. The first batch of these was collected on the compilation Showcase put out in 2006. A year later its dub counterpart was also issued. 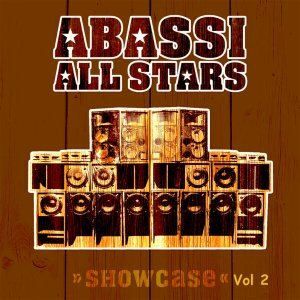 Now it’s time for the second batch of Abassi All Stars 10” to be compiled on the aptly titled Showcase Vol. 2. The album’s 17 tracks – of which Fitta Warri’s Too Much War is previously unreleased – are derived from six vinyl EP’s issued between 2006 and 2008, and are based on 17 different riddims voiced by singers and deejays from Europe and Jamaica. The production is the usual Neil Perch – heavy bass lines, beautiful horns work and political spoken word interjections along with dedicated lyricists. Some of the strongest moments include Omar Perry’s Daily Bread on the No Answer riddim and Tippa Irie’s Praises on the World Peace riddim. However, the best cut on the World Peace riddim – Beenie Man & Calib’s title track – is not included, which is a shame. This strong set of heavyweight modern roots reggae from one of Europe’s most forward-thinking producers certainly deserves to reach a broader audience than those who got their hands on the 10”. Now I just hope a dub Showcase Vol. 2 will be made available. Out now on digital platforms. About a year has gone by since Zion Train dropped the first single from their tenth album State of Mind, released earlier this week. Rainbow Children was a strong version of Aswad’s Rainbow Culture and featured its original vocalist Brinsley Forde alongside Ras Pyton and Dubdadda. 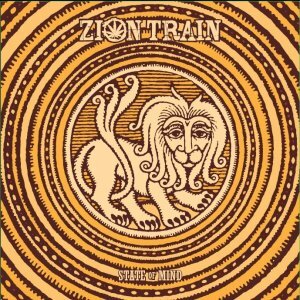 State of Mind sees Zion Train in great shape and as forward thinking as ever, even though several tunes echo from the outfits early days. This twelve track set offers less vocals compared to its predecessor – the award-winning Live as One – and producer Neil Perch has invited Katrien Peeters to lay violin and viola on top of some of the tracks. The result is astonishing. The tunes get a 1930’s blues and jazz touch to them. It’s like techno and dub producers are invited to a jam session in a studio in New Orleans. The most grandiose result is the frenetic and danceable Semper Augustus or The Black River Incident. Classic Zion Train can be heard on the pulsating Ital Stew with its effective percussion or Great Leap Forward with its echo laid horns. The most schizophrenic moment is A Tribute to Shura that borrows from Rolling Stones’ Paint it Black. It starts off as an electronica tune but transforms into a frenetic ska beat with a distorted bass line. Moments later it’s back in the electronica terrain again. With Zion Train you never know what to expect other than great music. It seems that Neil Perch sees no boundaries and that is probably why Zion Train once again secures their position as leaders in the reggae/dub genre. State of Mind is available as CD, LP and digital download. State of Mind is Zion Train’s first original album since the 2007 award winning Live as One. Reggaemani got a chat with Neil Perch – Zion Train’s front man and producer – on the making of the new album. Zion Train has been around for over 20 years and earlier this year they were honored with a “best of” album, the ultimate award for long and faithful services. Over the years Zion Train has explored and tried a diverse set of music genres, but the music has almost always been rooted in reggae and dub. Neil Perch is a UK dub pioneer. “The new album is going back to the roots of Zion Train,” explains Neil Perch over the phone from his home in the German city of Cologne where he lives with his wife, two cats and a big dog. He is multi-tasking during the interview. I hear clatter and it turns out he is making a vegetarian version of Gnocchi alla Sorrentina with tomatoes from their garden. But cooking and vegetarian recipes aren’t the reason for this interview. State of Mind – Zion Train’s tenth studio album – is released on Monday October 3rd. It has taken four years to make – two years for the concept and two years for recording and mixing. The title track of the album is a version of Winston Francis’ Let’s Go to Zion, and according to Neil the term “Zion” is a misused word. “It’s a romanticized word. We like to think of it as a heavenly state that mankind can achieve. We’ve taken the original concept and made it more global by expanding the word Zion. It’s a global concept available to everybody that reflects the spirit of humanity,” he says. On State of Mind Zion Train has also invited dub poetess Jazz’min Tutum, who Neil met when he did a show in Freiburg where she hosts a radio show. He also ended up producing her debut album Share the Flame, set for release in 2012. “She has a particular perspective. A Jamaican woman living in Europe. She has a third-world perspective. It’s revealing and powerful. She’s a politicized female voice,” explains Neil. The first single from State of Mind was released about a year ago. Rainbow Children is a version of Aswad’s Rainbow Culture taken from their Showcase album released in the early 80’s. Zion Train invited Aswad’s singer Brinsley Forde to record their version. Neil met him five years ago at a show at the foot of Mount Fuji in Japan, and says that it was an honor to work with one of his great inspirations. Neil hopes that State of Mind offers something that the listeners can relate to and that it will appeal to fans of Zion Train. He also hopes that he can still listen to it in six months. “I usually don’t like to listen to music that I’ve produced,” he states. So, how long could you listen to Live as One? 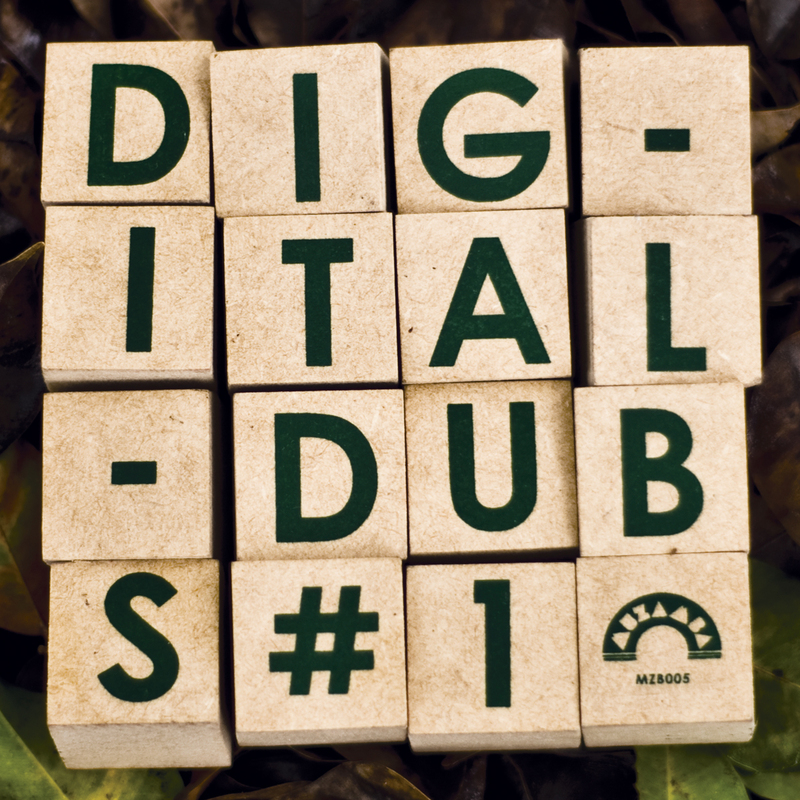 Digitaldubs fourth album opens with nyabinghi flavored digital drums and a slow and heavy bass line. After almost a minute a melancholic melodica kicks in. The mood is wet, warm and thick. It almost feels like I’m walking through a moist jungle. That’s the atmosphere when Brazil meets Jamaica in a studio that could have been Lee Perry’s Black Ark. On #1 Digitaldubs have invited renowned reggae legends Ranking Joe, Earl Sixteen and Brinsley Forde as well as local Brazilian artists Dada Yute, Jeru Banto and Tiano Bless. These are artists sing intense and earnest about justice, love and spirituality in English and Portugese. That’s the same recipe as on some of their one riddim albums. On Diáspora riddim, for example, they voiced Lone Ranger and Sylvia Tella alongside Ras Bernardo and others. On top of the vocal cuts there are of course also heavy roots and steppers instrumentals where the dub effects are very much present. Dub Echoes Theme with its hypnotic bass line and flyers style cymbals is a great example. Digitaldubs has on #1 created a rich album with crisp production, but without sounding polished. I’m thankful to ROIR for picking up this release from its Brazilian obscurity. If you like Zion Train and Dubkasm this album is a must-have. #1 is available as CD, LP and digital download.